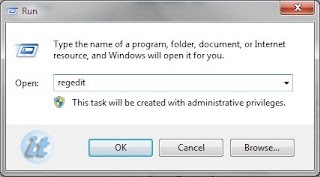 Tutorial to change login / logon screen with custom image in Windows 7 without installing programs from third parties that may not be free, contains disturbing ads, virus or malware. 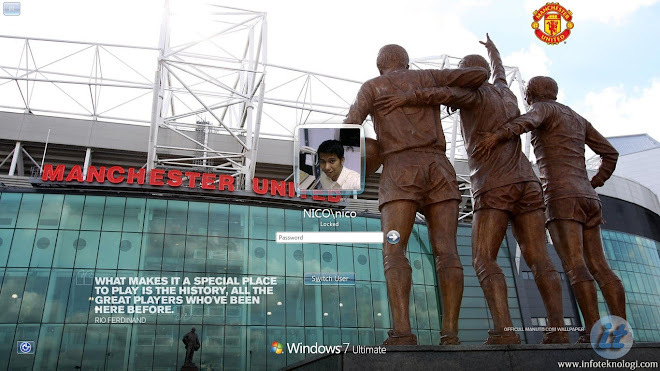 To change Login / logon screen, Lock Screen and Shutdown screen in Windows 7 are very easy. All we need to do is change a value in the Windows Registry, create some folders, and of course a nice login screen image. 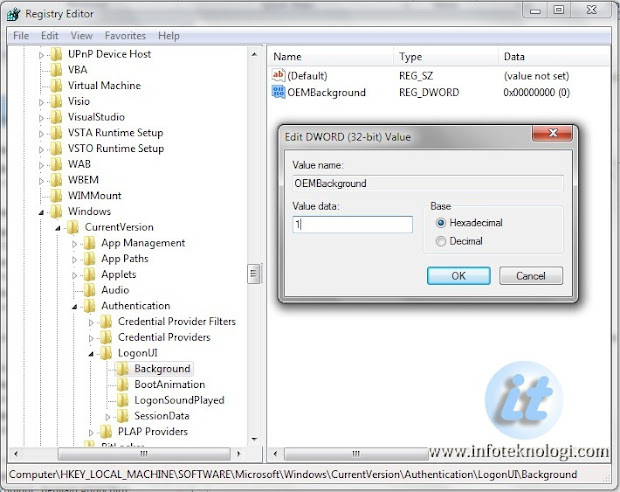 Open Run (Win+R) and type "REGEDIT"
In the left panel of regedit Window point your mouse cursor to "Hkey_Local_Machine\Software\Microsoft\Windows\CurrentVersion\Authentication\LogonUI\Background" And then on the right panel, change the value OEMBackground from "0" to "1". Restart your computer, and after restart your Login Screen will change according the image you chose before. 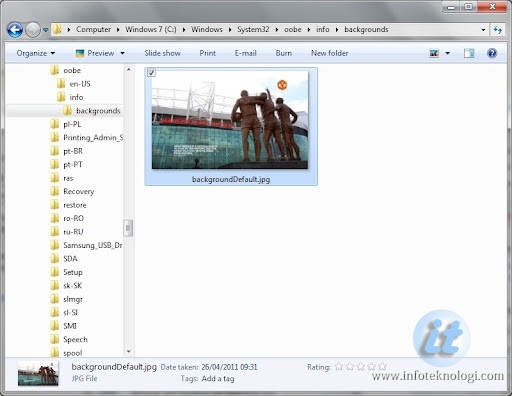 backgroundDefault.jpg image will automatically loaded and resized if Windows 7 cannot found an image that match with curennt display resolution. This tutorial will change the default image on Windows 7 for "logon screen", "lock screen", and "shutdown screen".